Augur Protocol Overlays and Front-ends. Veil and Guesser. Augur Protocol Overlays: Veil and Guesser. Prediction Markets Made Easy. A detailed background of the Augur prediction markets protocol along with profiles of its latest user interfaces Veil and Guesser. 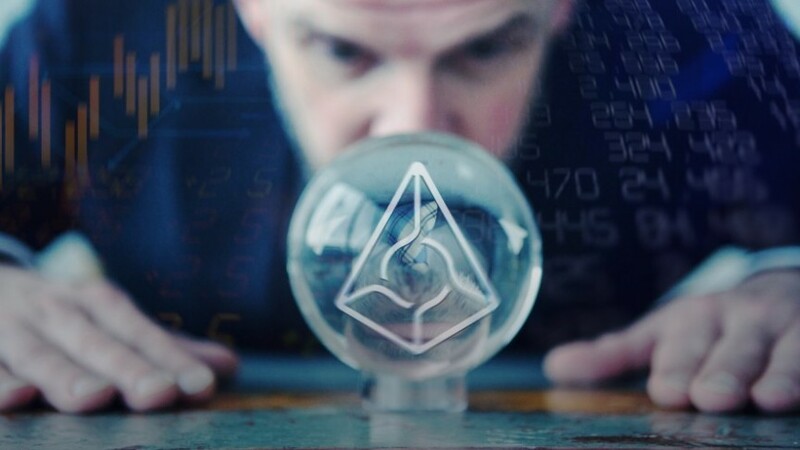 Augur is a prediction markets protocol built on top of Ethereum that we previously covered last year on the occasion of its long-awaited mainnet launch. Prediction markets are essentially markets for event derivatives (also known as contingent claims) and as such encompass a wide range of possibilities - from financial or crypto-asset derivatives (such as futures or binary options) to sports betting or, most controversially, outcomes of political events. (Controversy around political betting is arguably what led to the shutting down of Intrade, one of Augur's predecessors.) In any case, Augur's prediction markets layer adds a powerful component to Ethereum's arsenal of financial engineering tools that makes it possible to frame any kind of derivative contract (It's also worth mentioning that the size of the derivatives market on existing financial infrastructure is estimated to be over 1.2 quadrillion USD). The front page of the now defunct Intrade. "Founded in Dublin, Ireland in 2001, Intrade gained widespread media attention as the world's leading prediction market during the 2008 and 2012 US election cycles for its accuracy in predicting the outcome of those elections", the website claims under "History", citing Augur as its successor in "What's Next?" Recently, a number of dApps built around Augur as protocol overlays marked an important development (for decentralized prediction markets as well as protocol overlays in general). The Augur user interface is not immediately intuitive or as straightforward and uncomplicated for the less technical or inexperienced, non-trader audience. 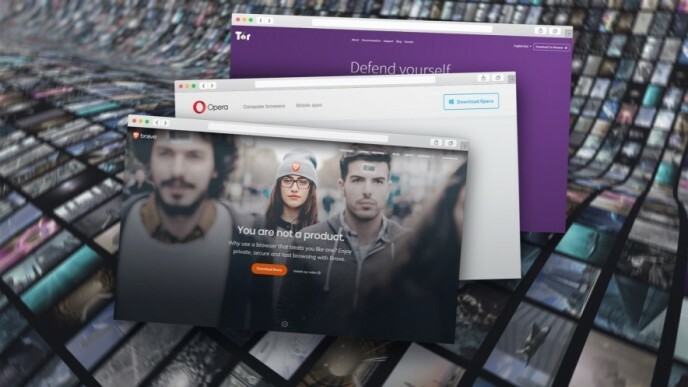 Meanwhile the Augur protocol itself, as noted above, encompasses a wide range of possibilities for different potential user bases (e.g., the trader crowd or the betting crowd, each using different terms for the same things in their respective frames of reference, as well as requiring different kinds of user interfaces that make sense to them, etc.). These front-end dApps offer a less overwhelming interface adapted to be much easier to access and use and focused on a handful of curated market categories (which can otherwise be hundreds at any given time and which can rapidly increase when adoption picks up the pace). The lifecycle of an Augur market. There are a number of ways that participants can profit throughout an Augur market lifecycle: creating markets, speculating on them, reporting on the outcomes and disputing them. These applications (Veil and Guesser for the moment, which we'll go over in this post) exemplify the many ways in which Augur could be integrated as a generic dApp component within the Ethereum ecosystem and potentially set off the beginning of a movement that, by absorbing individual beliefs and knowledge in all kinds of circumstances, could translate many aspects of our culture into liquid financial markets. Before going further though, it might be useful to take a moment and remind ourselves of the origins of the idea of prediction markets and why it is such a big deal in the context of an open, decentralized financial system. Ari Paul brings up one particularly valuable potential use case (especially in an environment like Twitter): giving people the opportunity to substantiate their claims, opinions or beliefs with something to lose (since talk is cheap, as they say). Prediction markets are supposed to bring back that "skin in the game" and have traders "put their money where their mouths are", conditioning a market behavior that makes up market efficiency (as a consequence of) - or, in the case of Twitter, perhaps more thoughtfulness. "The Use of Knowledge in Society" and "The Wisdom of Crowds"
Friedrich Hayek's famous 1945 essay is considered the basis upon which the concept of prediction markets has been articulated. Therefore, it might be useful to cite a few key paragraphs from it that elucidate the matter beyond what may at first appear to some as simple gambling or betting. If we can agree that the economic problem of society is mainly one of rapid adaptation to changes in the particular circumstances of time and place, it would seem to follow that the ultimate decisions must be left to the people who are familiar with these circumstances, who know directly of the relevant changes and of the resources immediately available to meet them. We cannot expect that this problem will be solved by first communicating all this knowledge to a central board which, after integrating all knowledge, issues its orders. We must solve it by some form of decentralization. But this answers only part of our problem. We need decentralization because only thus can we insure that the knowledge of the particular circumstances of time and place will be promptly used. But the “man on the spot” cannot decide solely on the basis of his limited but intimate knowledge of the facts of his immediate surroundings. There still remains the problem of communicating to him such further information as he needs to fit his decisions into the whole pattern of changes of the larger economic system." We must look at the price system as such a mechanism for communicating information if we want to understand its real function — a function which, of course, it fulfils less perfectly as prices grow more rigid. The most significant fact about this system is the economy of knowledge with which it operates, or how little the individual participants need to know in order to be able to take the right action. In abbreviated form, by a kind of symbol, only the most essential information is passed on and passed on only to those concerned. It is more than a metaphor to describe the price system as a kind of machinery for registering change, or a system of telecommunications which enables individual producers to watch merely the movement of a few pointers, as an engineer might watch the hands of a few dials, in order to adjust their activities to changes of which they may never know more than is reflected in the price movement. A diversity of opinion. Each market participant should have his own view, perspective or knowledge that adds information to the whole (even if that be just an eccentric interpretation of known facts). Independence. Opinions should be as little influenced by the opinions of those around them as possible. Decentralization. In the sense Hayek explains above. Aggregation. A mechanism - in this case, the pricing mechanisms of prediction markets in a fairly efficient and diversely decentralized market for translating discrete judgments into collective sum decisions. 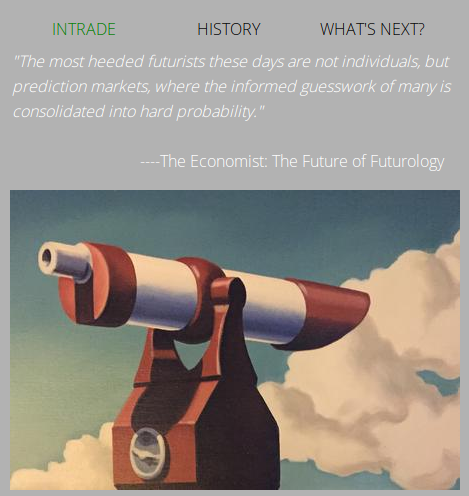 Prediction markets are very much about economic signaling and market efficiency. There is no single right way to design a prediction market, but as already pointed out censorship-resistance and a degree of decentralized distribution (jurisdictional, circumstantially relevant, geographical-physical, epistemic, professional, cultural, etc.) that is not subject to localized control and a decision-making Politburo are necessary base requirements for even the possibility of prediction markets to be realized as such. Clearly, decentralized prediction markets like Augur are at an early, experimental stage of development, but they are gaining more exposure and liquidity as more people enter the market, which is driving development. Liquidity and the active participation of as many actors as possible are more conditions for prediction markets to efficiently function as such. Therefore, designing different applications tailored to the interests and needs of different types of audiences (that use the Augur protocol in the back-end) is a crucial step towards developing and refining prediction markets as a public service. Another defining feature of Veil is its use of the 0x protocol in handling exchange and maintaining a distinct order book specific to Augur's prediction markets. All markets listed on Veil are represented as Augur markets on Ethereum, with ETH used for payments (and Dai to be eventually introduced) and REP as the means for resolution (i.e., the oracle). One of the drawbacks in using Augur is that every interaction takes place on-chain (thus, slow, expensive and subject to fluctuating gas fees). In aiming to make trading in Augur markets easier, cheaper and faster, Veil implements an off-chain order book based on 0x. 0x allows for giving someone a cryptographically signed message off-chain (on a piece of paper, an e-mail, etc.) that they can then take to the blockchain and complete a trade using the 0x on-chain settlement infrastructure embodied in a set of smart contracts. Veil is as such 0x's first prediction market relayer. 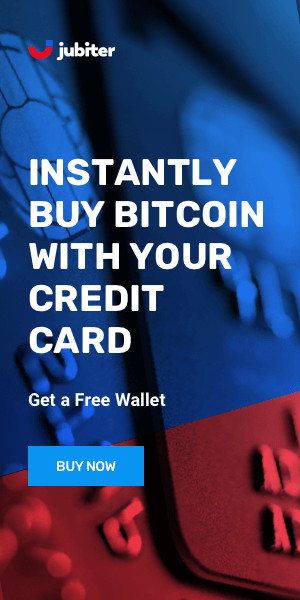 The 0x protocol is basically comprised of a standard order schema in the form of a message (specifying the intent to enter into a trade and a manner of arranging data into a cryptographically signed packet) coupled with a corresponding set of on-chain contracts responsible for the settlement of trades directly on the blockchain. As an open protocol for decentralized exchange, it is intended to serve as a basic building block that may be combined with other protocols to drive increasingly sophisticated dApps. 0x even includes an exchange module for the EVM that allows smart contracts to natively execute trades in a single line of Solidity code (Dharma and dYdX build on top of that). Veil supports binary (yes/no, short/long) and scalar (likelihood expressed in ETH) Augur markets (without categorical/multiple choice ones) and is particularly focused on crypto derivatives (such as Bitcoin futures or Ethereum gas prices). These are interesting, useful markets because they bring exposure to Bitcoin on Ethereum (another mechanism for that is wBTC, or wrapped Bitcoin, the subject of an upcoming article on wrapped tokens), while the gas price and hashrate markets are a robust hedging instrument for relayers paying gas for users. Another category is betting markets on the popularity of Internet memes - users can wager on the future popularity of viral images based on the number of upvotes in the /r/MemeEconomy subreddit. 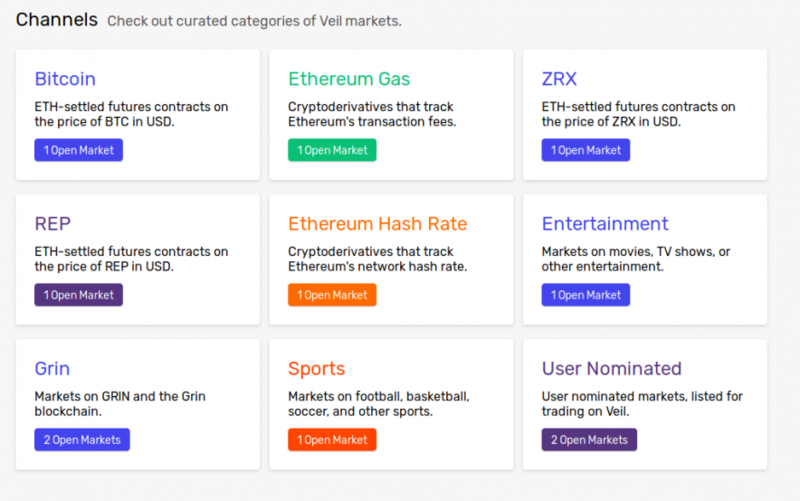 Specific Augur markets can also be nominated by users for listing and curation on Veil via the web application. A useful guide to the Augur market economics is available as a Medium post on Veil's blog. Since Veil uses 0x for trading Augur shares, they need to wrap their ETH and approve an 0x smart contract for trading and control of the balance of shares. For that purpose, Veil uses Veil Ether - an extended fork of Wrapped Ether (WETH) with a custom depositAndApprove function that deposits ETH and sets an allowance in a single transaction. Augur shares, on the other hand, are wrapped as Virtual Augur Shares - a template for ERC-20 tokens approved for trading on 0x and redeemable for shares in specific Augur markets. In other words, these are Veil-specific forks of existing contracts adapted to work with 0x while being interoperable with Augur and the established Ethereum technical standards. Both Veil.js and the Veil smart contracts have been open sourced and are available on Github. The leaderboard tracks user performance and activity, while an embedded payout calculator includes estimated maximum losses, gains and a graphical representation of the potential payout in the order form. Guesser is yet another UI (user interface) layer on top of Augur, designed for predicting short-term event outcomes of simple binary markets. It offers the most minimal, basic, stripped down version of Augur - a kind of layman's introduction to the general concept of prediction markets, how they work in practice on an elementary level, and where the fun is in it all. Guesser just launched on the 29th of January, gradually onboarding the first users onto the mainnet release. (It is not immediately open to the general public at large. They are taking a more cautious, stepwise approach). Also, Guesser will initially curate the markets listed and there will be a total of six markets at a time (dynamically replaced once a market ends). The goal is to foster a community of market makers and more smoothly onboard the less technical public into Augur prediction markets, so this is thought of taking place through a steady process of gradually getting users accustomed little by little, perhaps eventually becoming acclimatized to the unique trader environment of prediction markets in an age where "data is the new oil". Another selection criterion is that markets listed will be kept binary - that is, yes/no, short/long, either/or and "winner takes all" types of markets, the simplest category of Augur markets (to understand, create, and trade). And there is to be a strong preference for short-term markets that end in no more than a week (considering how the sense of urgency is more likely to inspire interest and provoke participation). 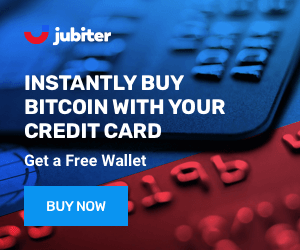 The main goal and purpose at this stage are to provide as much liquidity as possible, simplifying Augur to what is easiest and most appealing while at the same time easily accessible and within just a few clicks. For updates and relevant news, follow Guesser on Twitter, otherwise, for official announcements and more detailed blog posts, check out Medium. Like some other Ethereum-based tokens, REP (Reputation, Augur's native token) bestows certain responsibilities and expectations on its holders as token ownership gives holders the right to contribute work to the Augur network. The work REP holders do, reporting on and resolving outcomes of events, is critical to the success of the platform (of course, they also take fees for their services). Which is why with Augur v2 in 2019 a "use it or lose it" feature will be implemented that makes REP holders who don't vote at the end of the dispute to lose their REP.
Other important upgrades and modifications include integration of Dai, the MakerDAO managed Ethereum stablecoin which decreases the risks associated with exposure to volatility and the wild market swings that often characterize the market space of digital and crypto-assets. Augur tokens will also be ERC-777 (ERC-20 backward compatible) and other contract optimizations will further reduce frictions and gas costs. The crypto-economics of Augur are unproven (and also changing considerably from v1 to v2) and it is not entirely clear whether or not the system will hold up over time or if the incentive model will end up breaking as different (and differently motivated) actors enter the system. Incentivai is a tool for testing incentive structures and mechanism designs of smart contract economies (with ML agents estimating likely patterns of behavior). 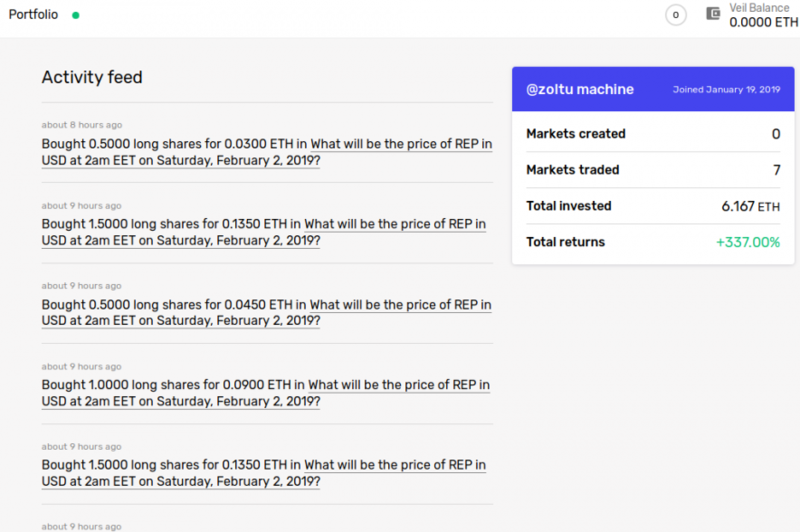 Piotr Grudzien has posted a write up on the simulation of the Augur economy using the Incentivai tool. The Augur white paper by the Forecast Foundation, last updated in July 2018. Predictions.global, the most popular website for browsing Augur markets (the "Coinmarketcap of the Augur ecosystem"), recently acquired by Veil. Augur.casino is an independently hosted Augur node via IPFS. One can access Augur via .casino, but it is not advisable to trade or create markets through anything other than the Augur application run locally (though it takes a few hours to sync when running for the first time). Pdot Index uses decentralized prediction markets to track the status and success of celebrities and public figures (with indexes such as the Donald Trump index, etc.). Reporters.chat is a service that allows users to easily track Augur market disputes, see who is reporting and staking REP on what outcomes and participate in dispute resolution. Augur Insider Volatility Index (AIVIX) is found at augurinsider.com. Logfile.info is a website for browsing dApp log history (similar to a blockchain explorer, but for querying historical logs). It has support for Augur and provides means for figuring out what happened in the past. 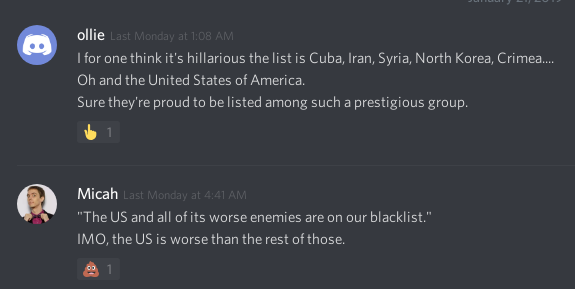 Veil and Augur public Discord servers. "The Fall Of Intrade And The Business Of Betting On Real Life", a detailed article about the unusual story of Intrade. Augurscore.org, a site for exploring the accuracy of the probability estimates generated by Augur (using the Augur API for pulling data from an Augur node and Python to process the data). Learn how to properly evaluate the potential of a coin and put the odds in your favor when trading or investing in cryptocurrencies. Economic forecaster Martin Armstrong on Bitcoin and cryptocurrencies and an explanation of Socrates, a SaaS economic forecasting engine. In today's article, we get an insider's look at the evolution of institutional trading of digital assets from Caspian's CTO Gerrit Van Wingerden. Institutional Investment in Crypto Markets: Is the Cavalry Really on its Way? Crypto-pundits have been calling in the cavalry throughout 2018, but institutional investors are yet to arrive. Will they ever get here?